Drew Gagnon started his night by striking out two of the first three batters he faced. By the time he reached the mound again, the 51s had already put up five runs on the scoreboard. Drew Gagnon started his night by striking out two of the first three batters he faced. By the time he reached the mound again, the 51s had already put up five runs on the scoreboard. Those five runs ensured that the 51s would never trail in a 8-5 victory over Nashville on Thursday night at Cashman Field. Peter Alonso’s base hit to left plated the team’s first two runs and Dominic Smith’s two-run blast right after that gave the 51s a four-run lead. Las Vegas added one more run in the frame. The 51s were mostly quieted until the sixth inning when they tacked on three more runs off Nashville starter Eric Jokisch with runs coming on a Luis Guillorme RBI single, wild pitch and passed ball. That was more than enough support for Gagnon, who throughout this season has been the 51s’ least supported pitcher. Gagnon went 5⅔ innings and gave up three runs, hitting a speed bump in the fourth inning with a pair of pop flies. He said he thought he attacked the zone well and didn’t take a batter off in his start. In the fourth two pop flies — one from Sheldon Neuse and one from Bruce Maxwell — fell in between multiple Las Vegas fielders and led to a pair of runs. Later in the inning, Gagnon gave up a run on a wild pitch. “Eventually I started getting frustrated (because of) the wind and the lights but I shouldn’t have because I can’t do anything about that regardless of anything, but I thought I held it together pretty well,” Gagnon said. 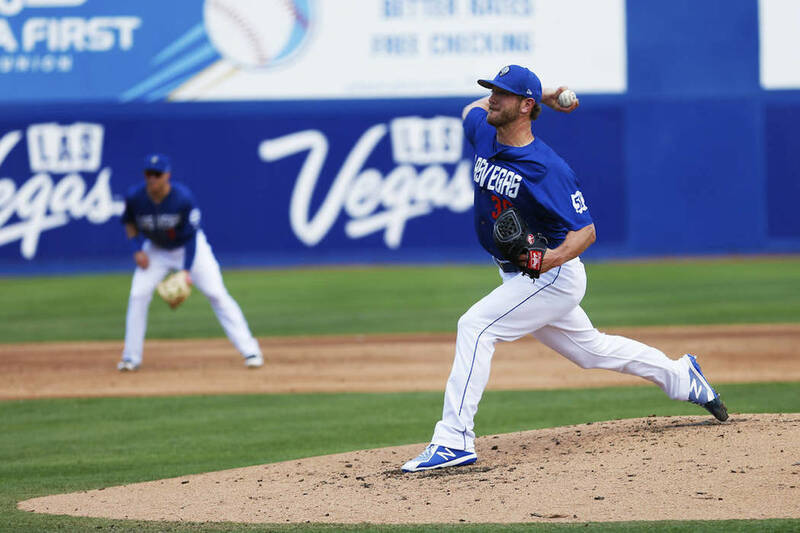 The righty, who leads the Pacific Coast League in strikeouts, got through the rest of the start unscathed, giving up only five hits total and striking out 10 in the process. Both Gerson Bautista and Matt Purke gave up a run each in their inning on three hits as Nashville tightened the gap later in the game. And in the ninth, Chris Beck loaded the bases with no outs before coming back, striking out a batter and inducing a double play to come away with the save.